This week’s installment is a guest post written by Sara Bulloch. Sara is a Creative Communications student at Red River College in Winnipeg. If you are a busy student like Sara, you want to be able to access your favourite Canadian short films quickly and easily, whether you are on a break from class or on your way to or from school. But, which short film websites should you bookmark on your device for that easy access? Sara explores three of them below. 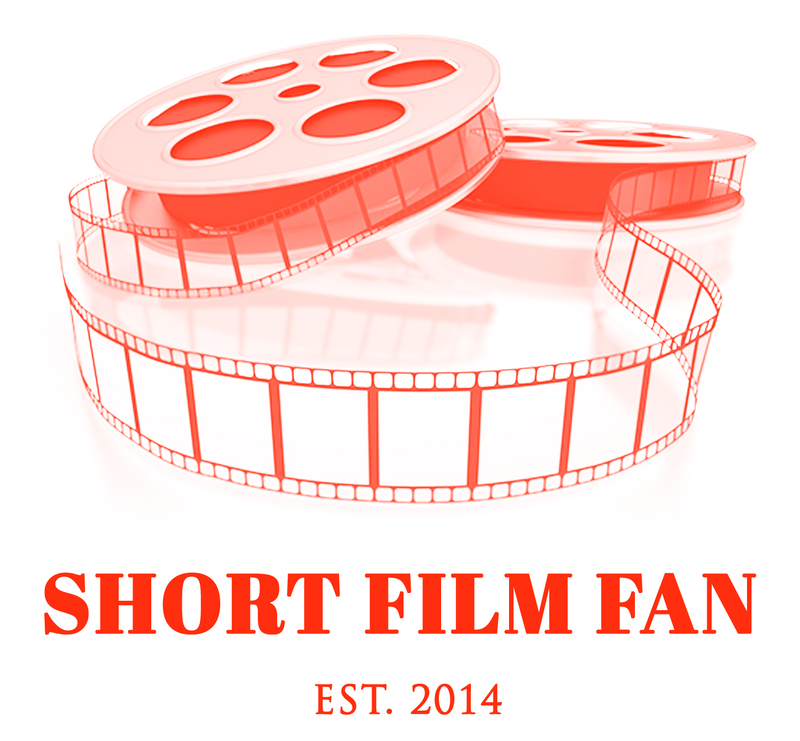 Hello, Short Film Fan readers! 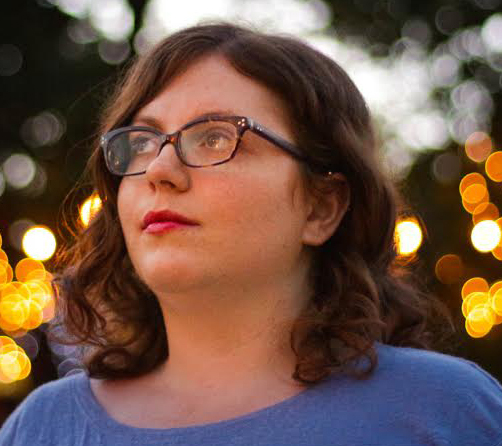 My name is Sara Bulloch and I run a blog called PegFilm, which is all about film in Winnipeg. Although, lately I’ve been busy working on my first short film (maybe more on that soon). Anyway, I thought I would share 3 websites where I watch Canadian short films that are all FREE and awesome. I’ve also highlighted one short film from each that I’ve recently liked, so check them out! So many quality short films in one place! The Canadian section is great. I also like that the website staff write about each film (below the video) and not just a blurb, but a description that really digs into what makes each film shine. Starts slow, but by the last of the five I was actually laughing out loud. Everyone is sure to relate to one of these scenarios. I like how it played around with the aspect ratio. Even with the listicle-like title it uses the medium to mimic the message. It’s not really a festival because it’s constantly online, but who’s complaining! It’s purely Canadian and new films are added fairly frequently year-round. There’s good variety from documentary to experimental and even a few music videos. It’s also nice that you can sort it by genre. This film takes a situation that could have been straightforward – a boyfriend sneaking a jealous peek at his girlfriends phone – and allows it to be wonderfully messy so it feels real. I think the acting in this short is superb. The lead actors are real-life partners. It all takes place in one location at one time and it makes the most of it. Just look at those paintings! I love it when these short gems start popping up on my Instagram feed! This year, 8 of the 25 films were Canadian. It’s amazing to see what filmmakers can do with 60 seconds or less. I find watching them to be an inspiration boost, and a reminder that even micro-shorts can be impactful. It amazes me how dating apps have changed how relationships come together. Since the viewer of this film will likely be lazily scrolling through Instagram, this film brings a strange moment of self-awareness. It’s also just an amusing concept. Thanks for reading! Feel free to comment with recommendations as you explore the websites. About Sara: Sara is in her second and final year of studies at Red River’s Creative Communications program. She is also currently making her first short film called Second Opinions. She has edited other shorts before, but this is her first time flying solo. Besides studying Creative Communications, Sara has a background in marketing and random film classes. She loves film and shares her passion with basically anyone who will listen. The 5th annual Toronto Shorts International Film Festival is back in this September, taking place from the 21st to the 24th at the AGO Art Gallery of Ontario’s Jackman Hall. As in previous years, the festival proudly showcases some of the most unique and fascinating shorts films from Canada and the world. Among the shorts that will be screened, 25 of them are Canadian and represent a variety of genres, including sci-fi, comedy, drama and animation. As a sci-fi short film, FTL is an amazing story about hope and courage when technology goes awry. The drama and suspense are powerful enough to keep the viewer on the edge of his or her seat. The special effects were incredibly detailed and enjoyable to watch. There are some interesting resemblances in FTL to some very famous sci-fi feature films. Kane’s cool attitude in the beginning is reminiscent to Han Solo from Star Wars, while his maddening trip through space will remind viewers of Dave Bowman’s descent to Jupiter in 2001: A Space Odyssey. The ending of the film happened a little too quickly; it would have been interesting to hear what Kane had to say about the whole ordeal. Overall, FTL was a well-acted and well produced short film out of British Columbia. It even has the potential to be made into a full-length feature. For fans of short film, do not miss out on your chance to visit the Toronto Shorts International Film Festival this year. You will be able to catch more amazing short films such as FTL with a general admission of $14 or with an all-access pass of $40. To buy tickets and for more information on this year’s lineup, including other Canadian shorts, check out their website at www.TorontoShorts.com and be sure to attend! Want to share a review or comment on a Canadian short that you saw at the festival? Send them to Short Film Fan via Facebook, Twitter or email. 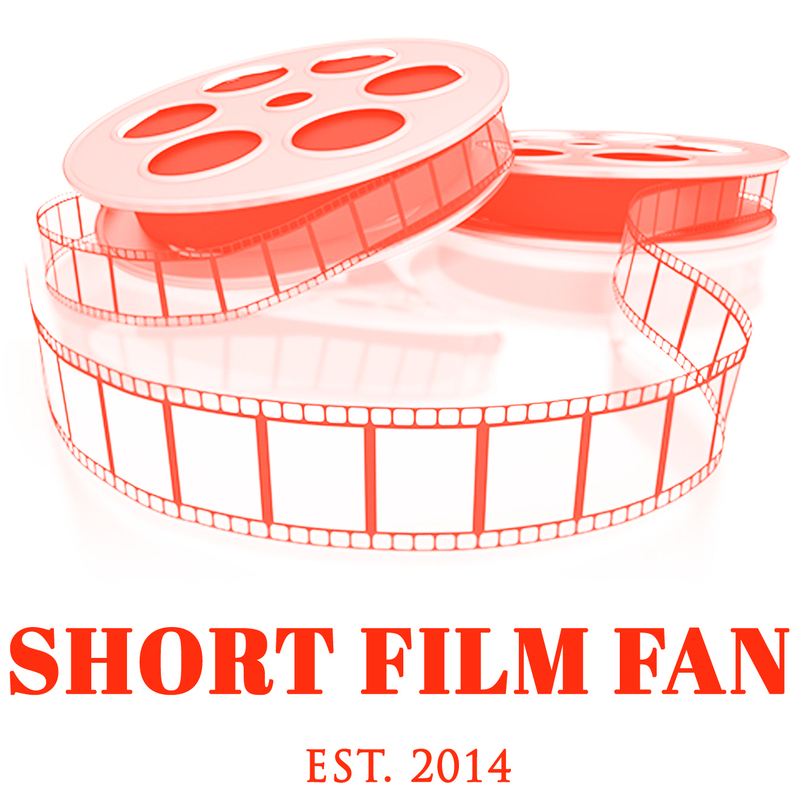 Readers’ thoughts on short films are always welcome. New York, 1905. Visionary inventor Nikola Tesla makes one last appeal to J.P. Morgan, his onetime benefactor. The Telsa World Light is a tragic fantasy about the father of alternating current, inspired by real events such as the inventor’s run of bad luck as a businessman and his affection for a pet bird, which he loves “like a man loves a woman.” Tesla’s words to the banker form the backdrop of this moving film about the man who blended science and art in his attempts to create the utopia of unlimited energy for all. Short Film Fan Pick: The Tesla World Light. This was a fascinating documentary-style short about one of the world’s pioneers of electrical engineering. The story itself is enough to encourage others to want to learn more about Tesla’s career struggles and successes. 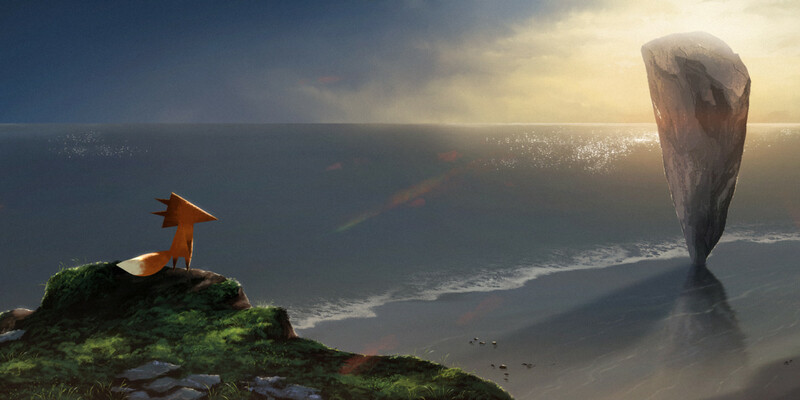 The film was extremely fast-paced and contained a delightful, eye-catching and impressive mix of animation, photography and live action. Those who have seen Rankin’s previous animated short, Mynarski Death Plummet, will see many similarities in styles and pace between the two films. Without a doubt, The Tesla World Light will prove to be a hit with history buffs and lovers of avant-garde cinema alike. Enjoy the shorts and TIFF! If you get a chance to see one or all of these NFB shorts, please leave a comment below. Tell us which one was your favourite and why. Next month, the 42nd annual Toronto International Film Fest (TIFF) will be taking place September 7th to 17th and it promises to satisfy the palates of all sorts of film buffs. From world cinema to documentaries to experimental film, TIFF 2017 is Canada’s, if not the continent’s, largest on-going film festival that features new and seasoned film talent from Canada and around the world. Of course, no film festival would be complete without short films and TIFF recently announced this year’s shorts line up for its September screening. There will be 29 Canadian shorts at this year’s festival, including 11 directed by women and three by Indigenous filmmakers. 24 shorts are part of the Short Cuts programme and 5 shorts will be shown under the festival’s Wavelength banner. All 24 Canadian Short Cuts films are eligible for the IWC Short Cuts Award for Best Canadian Short Film. All films in the Short Cuts programme are eligible for the IWC Short Cuts Award for Best Film. For synopses of all shorts, go to tiff.net/sc and tiff.net/wavelengths. For tickets, click tiff.net/tickets or call 416-599-TIFF (toll-free: 1-888-599-8433). If you will be attending TIFF this year, why not show your support for homegrown short film talent and see this year’s slate of Canadian shorts (many of which are world premieres). If you do happen to see any of them, share your thoughts about what you saw by leaving a message in the comments box below! If you or anyone you know is a young and aspiring filmmaker living in the Greater Toronto area, the Toronto Youth Shorts Film Festival is back. On August 11th and 12th, a total of 53 short films will be featured in five different programs throughout various locations. This festival is your chance to see some of Toronto’s budding filmmakers’ work in a wide variety of genres, including animation, comedy and drama covering a wide variety of topics. If you see any of the shorts featured listed above and want to share your own thoughts about them, leave a comment below! Have fun at the festival, everyone! For short film fans living in the Winnipeg area, the summer weather has been very hot and humid this past while. 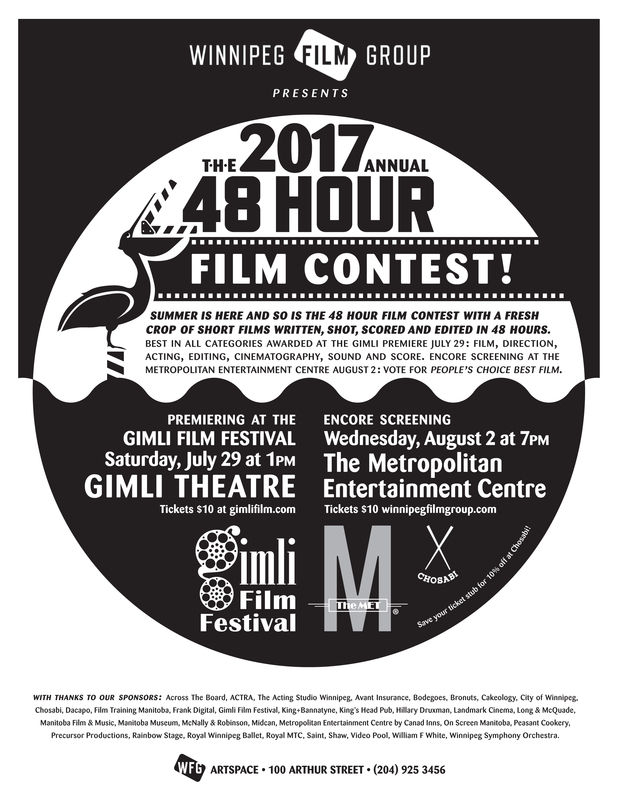 If you are looking to escape the heat while enjoying 27 newly-minted Manitoba-made short films at the same time, come down to the Metropolitan Entertainment Centre on Wednesday, August 2nd at 7 p.m. for the 48-Hour Film Contest. This annual event organized by the Winnipeg Film Group encourages the creation of short films made by Manitoba residents. Participants are tasked to write, shoot, edit, score and complete an original short in just two days. Not only will the audience be treated to some quality short films, there will be a reception after the contest with a chance to win some prizes and an opportunity to mix and mingle with the filmmakers and members of various arts organizations. Short Film Fan: What genre of shorts will be screened at this year’s contest? Ben Williams: Actually, every year the filmmakers are given a challenge to produce a film within a set of parameters called “The Key”. The Key changes every year and each year there is a different plot theme, at least two camera techniques and the use of a music score. It is within these parameters that each filmmaker crafts their film. This year the plot theme was titled “The Quest”: There’s comedy, drama, LGBT content, special effects, some action and even puppets in this year’s crop of films. SFF: Which categories will these shorts compete under? BW: At Gimli, there was a jury selection for Best Film, Best Director, Best Cinematography, Best Editor, Best Sound, Best Score, Best Actor and Best Actress. At the Metropolitan, the audience gets to decide on the People’s Choice Awards for Best Film and Best Score. If you attend this event your vote will count. SFF: Which filmmakers should the audience especially keep their eyes on? BW: I can honestly say that this year’s crop of films is stronger than it has been in the past four years. If we judge it by what the jury and Gimli crowd felt… filmmakers like Julie Epp, Cleo Leslie, Michael Sanders, Jhurmel Pasqua, Vincent Tang, Carter Hadlow, Lasha Mountain, John Titley and Lucky 7 Studios (composed of 7 teenagers ages 13-17) each have quality films. The bar is getting raised higher each year and we are proud of the results. SFF: Why should short film fans attend this year’s 48-Hour Film Contest? BW: There will be a reception afterwards with appetizers and a cash bar served from 6 p.m. to 10:30 p.m. We will have a silent auction with generous sponsorships from: Royal MTC, Winnipeg Symphony Orchestra, Royal Ballet of Winnipeg, Landmark Cinemas and other great prizes. All ticket holders will receive 10% off at Chosabi (printed on the ticket). There will be many filmmakers, musicians, actors, film industry folks, local business arts supporters and arts organizations in attendance a great opportunity to build and network. A pair of free tickets is available to a lucky Short Film Fan reader in Winnipeg. Just email your name and phone number to cdnshortfilmfan@gmail.com and two tickets will be waiting for you and a guest at the door. Happy viewing, short film fans! The weekend is almost here, and what better way to enjoy it than to attend a local film festival and get caught up on the latest in Canadian and international short films. If you happen to be in Vancouver for the weekend, and are fan of British Columbia-made short films, you are in for a treat. The Vancouver Short Film Festival (VSFF) will be taking place January 27th and 28th at Vancity Theatre with 28 shorts to be screened altogether. The festival dates back to 2005, when it was known as the Vancouver Student Film Festival. In 2009, the name was changed to Vancouver Short Film Festival as professional filmmakers began to be featured alongside their student counterparts. Short Film Fan caught up with Vancouver Short Film Festival Co-Director Kristyn Stilling to learn more about the festival, including why the festival was started and what the audience can expect to experience by attending. Short Film Fan: Why was the Vancouver Short Film Festival launched in the first place? Kristyn Stilling: The Vancouver Short Film Festival (VSFF) was started to celebrate the vibrant community of short film, video, and animation artists on the Canadian West Coast. We hope to build ties between emerging and established professionals, and provide an arena where all short filmmakers, including students, can screen their films in public and support their fellow colleagues. Our ultimate goal is to connect short filmmakers to a broader audience in order to grow the local film industry. SFF: Do the shorts originate from Vancouver only, or do they also come from other parts of British Columbia? KS: To be eligible for the festival, the films must have a BC Resident Cast or Crew on their project. VSFF celebrates all the filmmaking crafts, as well as filmmakers from other countries who are currently living in Vancouver. SFF: Are the shorts a mix of professional and student-made films? KS: They are! This year we have 8 student films. SFF: Will there be an opportunity for the audience to meet any of the filmmakers? KS: After each screening there will be a Q&A with the filmmakers in attendance. There are also networking opportunities at our Opening Reception, Closing Gala, and in between the screenings. VSFF is a community that brings filmmakers and film lovers together. KS: A sense of community. VSFF prides itself on supporting and celebrating the best our province has to offer and we are incredibly thankful to our audience and sponsors for coming back year after year to support local BC filmmaking and storytelling. We wish everyone at Vancouver Short Film Festival all the best for a successful and fun festival. To get your tickets or to find out what films are playing and when, please visit their website at: http://www.vsff.com/vsff-2017-program. Follow them on Twitter and like their Facebook page to get the latest in news and information coming from the festival. 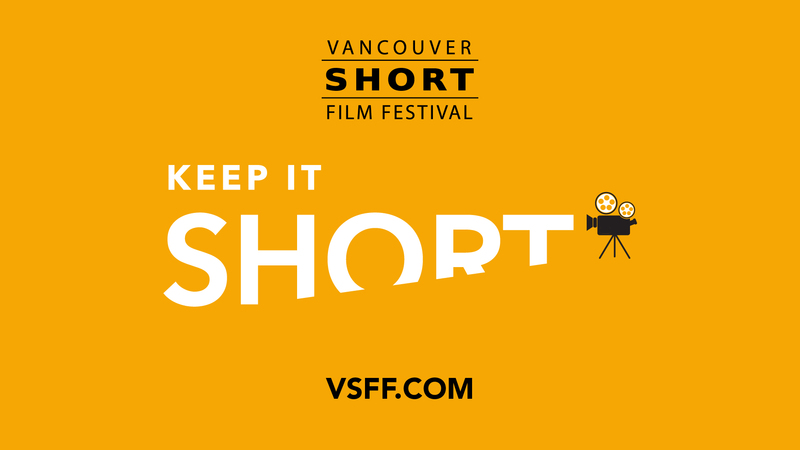 Hey short film fans: if you really liked any of the shorts this weekend, why not Tweet it out to @VSFF and to @shortfilmfan, or post a comment about it below? There are two anniversaries being celebrated at the University of Winnipeg this year, and what better way to have a party than to hold an exhibition of short films made by current and former staff and students at its own art gallery. Among the list of Manitoba filmmakers whose short films will be screened include Guy Maddin, Danishka Esterhazy, Danielle Sturk, and Mike Maryniuk. Also featured will be CBC Short Film Face Off winners from 2015, BJ Verot and Brad Crawford. Short Film Fan: Why were these five particular themes chosen for Moving Images? JG & AG: They came about rather organically; we found that particular approaches and ideas were being dealt with by multiple artists and so we found ourselves grouping those works together. That being said, there are no hard and fast rules in terms of which films are part of specific themes or programs. A number of them – Shimby Zegeye-Gebrehiwot’s yaya/ayat, to give one example – could be screened in multiple programs. SFF: How difficult was it for you to choose the final list of shorts to be screened at the exhibit? JG & AG: It was very challenging. Winnipeg has such a rich community of artists. There are many more fabulous works that we would have liked to include. If we had more funding, we would have been able to present even more films. SFF: Will there be an opportunity to meet any of the featured filmmakers? JG & AG: Yes! Guy Maddin and a number of the other artists were at the opening reception last week and Guy spoke with his colleague Evan Johnson on Thursday evening about archival influences in their on-line film project Séances. There will be two more opportunities to hear filmmakers discuss their work. 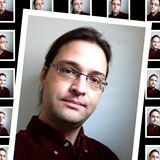 University of Winnipeg English Studies professor Andrew Burke will moderate a discussion on cinematic experimentalism with artists Mike Maryniuk, Sol Nagler and Rhayne Vermette on Monday, January 30 at 7:00 p.m. in UW’s Eckhardt-Gramatté Hall. On Thursday, February 9 at 7:00 p.m. the University’s Chair in the History of Indigenous Arts in North America Julie Nagam will lead a discussion with artists Danishka Esterhazy, Freya Bjorg Olafson and two members of The Ephemerals collective, Jaimie Isaac and Jenny Western. That event also takes place in Eckhardt-Gramatté Hall. SFF: Are there any plans for the Moving Images exhibition to return next year? JG & AG: Moving Images is a special project that has been organized in honour of Gallery 1C03’s 30th anniversary and the University of Winnipeg’s 50th anniversary to celebrate the talent of the University community – all of the artists are alumni, current or former students, and current or former faculty and instructors. 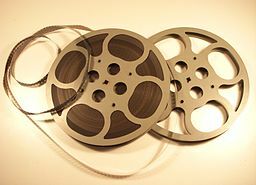 We did not envision it as an annual project but there are certainly plenty more fantastic works that could be screened. It’s a great idea to consider a follow-up. SFF: What do you hope the audience will take away from this exhibition? JG & AG: We’re hoping that people will get some sense of the depth and range of artists’ films in Manitoba, not just with established names like Guy Maddin, but also among a younger generation often working with pop culture references and experimental techniques, and often referencing urgent social and political issues. There are a lot of artists using film and video in innovative and personal ways. Complementing the Moving Images event is an exhibition of Guy Maddin’s collages and the presentation of his Seances project with Evan and Galen Johnson. This work is also on view January 12 to February 18, and can be seen in the University of Winnipeg Library’s Hamilton Galleria space. A downloadable pdf publication related to Moving Images is also in the works and will be made available online toward the middle or end of February. Please check back at Gallery 1C03’s website: www.uwinnipeg.ca/art-gallery. If you’re in the Winnipeg area in January and February, you can catch the shorts screenings at Gallery 1C03 Monday to Friday, 12:00 – 4:00 p.m. and on Saturdays, 1:00 – 4:00 p.m. Admission to the shorts, panel discussions and collage exhibit is free and open to the public. Both venues are wheelchair accessible locations. 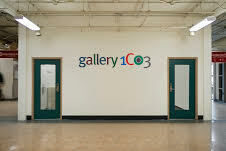 Happy anniversary, University of Winnipeg and Gallery 1C03! Thanks for making Canadian short films a part of your celebration. Hey, short film fans: if you happen to catch a short or two that you really liked, let us know! Send a Tweet out to @1c03 and to @shortfilmfan. Or, post a comment below.